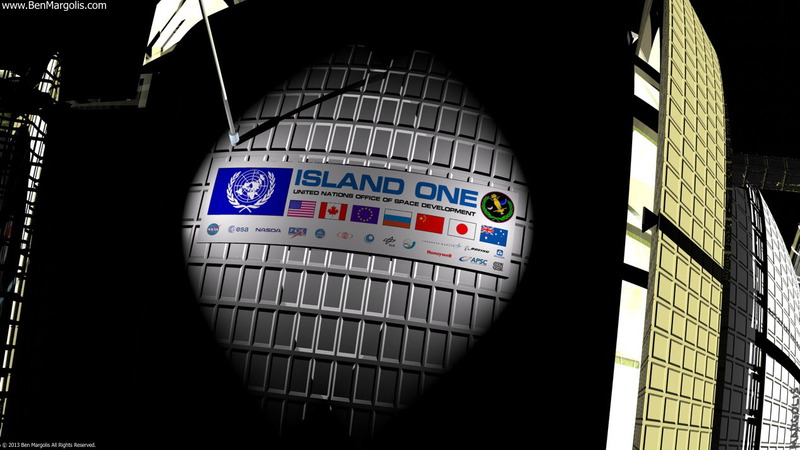 Island One: A closeup of the outside of the Bernal sphere. On the right side you can see the windows into the Bernel sphere and the beige gamma ray shield over them. On the left, you see the back of the mirror assembly and the scaffolding that supports the mirrors. I’ve never seen a sign on Island One, but I thought it needed one. Of course the sides of the Bernel sphere are always in shadow, so the sign must be artificially lit.